Thanks again for all of your questions in the Whadya Wanna Know post. I'm pretty sure this will be the most.boring.post.ever but here goes it. Overall, we're a pretty dull couple. Of course, we both like to think we have sparkling personalities and razor sharp wit (and humble too!) but aside from that, we don't live a very interstesting life. That's why I don't mention much outside of our home adventures. We go to our respective jobs, spend a few hours together before sleeping 1/3 of our life away, get up and do it all over again. But since you asked, I feel obliged to share. Me? My 9 to 5 is in financial services. A decidedly left brain sort of pursuit that helps pay the bills but doesn't fulfill my creative desires. In order to challenge the other side of my noggin, I run a small graphic design business in my 'free time'. The Mr. is a civil servant very dedicated to his job and industry. He also happens to be a great cook (the world's best baked ziti!) and excellent at spatial reasoning. As you can probably tell, I like to dabble in all things creative like home decor, photography, entertaining, crafts, etc. I've even started to pick up some skills in the cooking and baking category much to the appreciation of the Mr. I'm not the best in any of these categories but I really enjoy the challenges. The next skill on my agenda is sewing. I just need to find the time to take a beginners class. I spend WAY too much time watching television - reality game shows like Top Chef and Project Runway are a particular weakness. The Mr. and I were married 6+ years after dating for 7. So yea, we've been together a long time. We have no children but we do have one cat. Unfortunately for us, we are not rich or famous. We saved our money to buy and renovate this home after spending nearly a decade in a 800 square foot home. (Which, by the way, I never felt was too small or that difficult to live with a single bathroom. This is the very first time either of us have lived in a home with more than one toilet!) I don't own a single pair of designer jeans or shoes or sunglasses. We have one 5 year old car. We don't go to nightclubs or the opera. We rarely even go out for drinks as we are very much old farts before our time. Obviously, we spent a lot of money renovating. And even though 99% of my home purchases are from Target, Ikea or Junk stores, the costs still add up. So a good deal of our discretionary money goes to what you see on this blog. Other than that, we both love to travel. I have a penchant for luxury hotels while Mr. Limestone has a obsession with frequent flyer miles. Those factors coupled with limited vacation time and funds add up to a few (sometimes short but) semi-swank vacations a year. I tend to be the one behind the camera so I don't have that many photos of myself to begin with. Of those few, I don't like most of them. And I'm not about to show a bunch of photos displaying my mouth open or excess chins. If I were rich and famous, I'd like to have a photographer follow me around every once in a while to take some fabulous and flattering action shots of me. Until then, this is my favorite photo of myself. It was taken on my 30th birthday in Paris. I'm wearing my favorite dress ($65!!) and highest heels I own. I like read to all sorts of home decor related magazines and books. Particularly fond of Martha Stewart and all her crafty elves for their inspiration and good taste. I don't have one style icon, really. I tend to take a lot in and then pick and choose what suits me best. I try my best to keep a style tickler file when it comes to home projects. If you're curious, you can take a peak at my home inspiration and good idea flickr sets. The magazines I subscribe to religiously are Martha Stewart, Domino (now defunct). I loved Blueprint and still miss it. I just recently subscribed to ReadyMade, House Beautiful and Better Homes & Gardens so the jury is still out. I used to subscribe to Real Simple but found it was the same ol stuff recycled over and over. Boo on them. As a general rule, I have an idea of the finished product in my head before I start a project. That goes for renovating or doing a design project or planning a party. The trouble is I often can't explain what I have in my mind very well which is why I tend to have to do things myself. (That and I'm a bit of a control freak.) Sometimes the end result is different from what I imagined - sometimes better, sometimes worse. I think that is pretty much it for the more generic questions. I'll answer the more specific ones in my next post. Until then, I hope I haven't bored you too much and feel free to ask anything else you're wondering about. First time commenting on your blog although I have been a visitor for a few weeks. I love your blog, both the photos and your style of writing. Today I clicked on the architectural salvage label and I saw the store in Kennebunk that I visited last week. I also met Napoleon the cat and took a picture for my blog post. I bought a condo in a home that was built in 1910 and although it's newly updated I am looking for some authentic pieces to give that period feel. Will continue to look at your past posts for inspiration. Good luck with the renovation! I love being able to put a face to the name! Here's my question: did you do a big move-in post? I read through all of your archives when I was in the middle of my own home-reno project and seemed to miss that entry. Thanks for the peek into your life mrsL! I love that you're doing this. IT'S ALWAYS SO NICE TO LEARN MORE ABOUT OUR "BLOG" FRIENDS. THANK YOU FOR SHARING SO MUCH. I LOVE YOUR HOUSE WHICH IS QUICKLY BECOMING A HOME WITH ALL OF THE HARD WORK YOU AND THE Mr. HAVE PUT INTO IT. I'VE ALWAYS WANTED TO LIVE IN A BROWNSTONE IT IS BEAUTIFUL!!! OH YEAH, THAT BROWN DRESS!!! A KEEPER! So nice to finally see the face behind the blog, mrs.L :) I liked learning more about you...there is only so much I can infer from the beautiful things you fill your home with. Looking forward to seeing the rest of your readers' questions. Well, Mrs. L., like I said before, I think we would defintely be friends! (I went to Paris for my thirtieth birthday, too!!) You look Mah-velous!!! Just lovely & it looks like you live a wonderfully exciting life, doing exactly what you want to do with exactly who you want to be doing it with! That, my friend, is what I call "living the dream!" Thanks for sharing! You are beautiful! Thanks for sharing! "I run a small graphic design business in my 'free time'"
Where can we see more of this? I love the invites and stuff you do, as seen in flickr. Do you have an etsy shop, by chance? I love it ALL! The house, the blog and this post! ^^ meant to say "i pictured you with dark hair and dark eyes...."
Thanks for the post. Now I feel like I know ya just a bit....(if thats ok)...And the post was not boring at all. Great, just great. Great post - I always thought you were deliberately mysterious. You're gorgeous and beautifully groomed. You match your house perfectly! Thank you, thank you, THANK YOU for sharing. I agree with Freckles Chick--you are very classy and elegant, like your home and everything else you do. This was fun and insightful. I had seen your photo before, after clicking on one of your photos and being redirected to Flickr, but that photo of you in the hotel looks like something out of House Beautiful or Architectural Digest. You look very elegant and well-heeled...you'd never know your dress was a steal!! Thanks for filling us in. You are as multi-faceted as I thought! Nice bio! I have read your blog weekly and it's nice to see the face behind the blog. Your comments on how you worked to obtain your dreamhouse is inspiring. Oh and by the way, you look like a freakin movie star! I was very excited to see who was the mystery girl behind this blog! I had a picture in my head, thought you were a bit older- but pleasantly surprised. I have been reading your blog for a yr now, and love everything- we have a lot of the same taste! Can't wait to learn more about you - your truly inspire me. Thanks for a little insight into who you are! Congrats on your success and working hard to get to where you are. Love your house and your blog! What a nice insight into your lifestyle! You are a classic beauty just like your lovely home...it was fun looking through your inspiration files! Here is my question...when standing on your front stoop...what is your view of your neighborhood? What a wonderful post. I loved finding out more about you and your Mister. You are so beautiful and that pic from Paris. It's also nice to know that you are a reality tv fan like me too. I love this post! Your frugality and practicality are inspiring! First time commenting on your blog. I absolutely love your taste, your writing, and your photos. Your blog brings me so much enjoyment, and I honestly think you should publish a book when your house is done. This was far from boring! It's so nice to have a face to put with the blog, and such a glamourous face! nope not bored. Looking forward to reading more. Thanks for sharing! You look absolutely gorgeous! Am so jealous you got to spend your 30th in Paris :) It's so great to hear more about you! Well aren't you gorgeous? I love the photos - you are a very lovely lady. And talented too! You seem to live with a very positive can-do attitude and it is so admirable. Like you, I have a bit of a dreary job and would like a small business and really, I must pursue that, mustn't I? What I admire the most about the two of you is that you decided what you wanted and then planned for it and made it happen. I *LOVE* these types of posts! It's always a blast to learn more about one of my favorite bloggers! You're beautiful and I love the dress in the first photo! It was fun to read more about you & you're darn pretty too! Thanks for the photos on the giveaway, got them in the mail last week. I'll have to figure out where to put them now. Va va voom! What a gorgeous pic of you! Thanks for sharing! I loved this post.  Great fun to learn a little more about the people behind the limestone! Great post ... nice to get to know the people behind the blog. thanks for sharing! Its always good to put a face to the name! You are elegant like your house. Love the post. Thank you for sharing. You are beautiful! BTW, I received the photographs in the mail the other day. Thank you! I can't wait to frame and hang them. What a fun post! The photo of you in Paris is just daaahhhling :) I like that you are both a left and right brained successful lady! After reading every post in your blog from the start I have to say that's it's really nice to see "you" in this post. It's nice to put a face to the name. You are extremely talented, I love all your ideas and what you've done within your home. It's a pleasure to meet the woman behind the blog that I've enjoyed so much for the past few months. love getting to know you and the mr. limestone. Nice to meet you! Finally! That answers all of my questions and no, it was not at all boring. Thanks for sharing and taking the time to do this. Love love LOVE your home! I just looked through all the photos and gave you some great ratings on Rate My Space! -love what you did with the IKEA nightstand- SO CREATIVE! -the cabinetry is very nice in the kitchen too! Really, I must stop myself before I ramble on and on. Thanks for posting all the photos of your home--it oozes comfortable sophistication. I just bought a new home and have been collecting ideas on what to do inside and many of your ideas have inspired me! Just found your Blog. Never knew you had one! Now I can put a face with my "Flickr Friend";o) Thanks for sharing! **Love the still wedding pic in the busy streets of NY! My jaw dropped to the ground when I read that you're in financial services. Noooo, really? Seriously?! Love the post -- it's great to learn a bit about you (and it makes me heart your blog even more!). I hope you share some of your personal side more often. You should definitely go to the Opera, especially considering you can buy box seat tickets at the Met for $15!!! The Hubs and I go often, usually several times per year ... we buy tickets with the spare change we save throughout the year! I used to have that same dress! I really loved it too! Okay, I'm cracking up over your description about 'excess chins' and 'being old farts before your time'. Very funny and yet it surprisingly rings close to home! Nice to hear from you, I have enjoyed reading your blog for ages, you have such a lovely decorating style. Oh, and I want that dress! I found 3 new magazines which are full of quite cool projects and ideas if you are interested: Mollie Makes, Making and my constant favourite which I have bought since they completely changed 10 years ago is Living etc. Love your blog! When I read through this I thought of my friend Erin...who you would love and have lots in common with. Check out her blog and you will likely get inspired by her sewing projects and your mutual love of photography! It's "House on Hill Road". Lol. I love your attitude, you sound exactly like me!! What a cool blog, can't wait to read through the archives. Yea - I think you'd be a friend if I lived in Brooklyn! Lovely pic of you in "the" dress, and I do enjoy reading all about that lovely house, and yourselves, of course. Just now the penny dropped - so I have commented on your guest room or guest room question - congrats! You can now see me too as I found out how to get a pic on my Google account. I will be in NY in October - first time, so look out for the lady in the red glasses if you are out and about in Manhattan early October. If I passed the Limestone I wouldn't know it was yours, but every one I see, I will wonder..... is it the one? I love Brooklyn and the style of brownstone homes. We visit NYC frequently and often "rent" a garden apt thru HomeAway.com My long term goal would be to relocate to Brooklyn and purchase a brownstone with rental properties to help pay the mortgage. However whenever I do a search of entire homes the asking price is always WAY out of my league. What advice can you offer a 40+ year old single mom on a tight buget who has dreams of owning her own brownstone. Is there any affordable neighborhoods left in NYC?